THIS USER AGREEMENT (THIS “AGREEMENT”) IS A LEGAL AND BINDING CONTRACT BETWEEN YOU THE (“CUSTOMER”) AND INTERNATIONAL COMMUNICATION BY DESIGN INC (“ICD”). THE AGREEMENT GOVERNS CUSTOMER’S ACCESS TO AND USE OF THE ICD SOFTWARE FOR INTERNAL BUSINESS PURPOSES AND TO DELIVER SERVICES TO YOUR CUSTOMERS (EACH, A “CLIENT”) (AS FURTHER DEFINED BELOW, THE (“SOFTWARE”). PLEASE READ THIS AGREEMENT CAREFULLY. BY INSTALLING AND USING OR ACCESSING THE SOFTWARE, AND BY CLICKING “I ACCEPT” BELOW, CUSTOMER INDICATES ITS ACCEPTANCE OF THE TERMS, CONDITIONS AND LIMITATIONS OF THIS AGREEMENT. IF CUSTOMER DOES NOT AGREE TO BE BOUND BY ALL OF THE TERMS, CONDITIONS AND LIMITATIONS OF THIS AGREEMENT, CUSTOMER MUST PROMPTLY (A) DELETE THE SOFTWARE FROM ANY AND ALL OF CUSTOMER’S COMPUTERS ON WHICH IT IS INSTALLED AND DESTROY ALL COPIES OF THE SOFTWARE IN CUSTOMER’S POSSESSION AND ALL ACCOMPANYING MATERIALS, INCLUDING PACKAGING AND DOCUMENTATION, AND (B) CEASE ALL OF CUSTOMER’S USE OF THE SOFTWARE. THIS AGREEMENT APPLIES TO THAT VERSION OF THE SOFTWARE THAT CUSTOMER HAS LICENSED. THE SOFTWARE IS LICENSED, NOT SOLD. CUSTOMER MAY USE ONLY THE VERSION OF THE SOFTWARE THAT CUSTOMER HAS LICENSED AND HAS PAID FOR, AND CUSTOMER MUST USE IT STRICTLY IN ACCORDANCE WITH THE TERMS AND CONDITIONS OF THIS AGREEMENT. CUSTOMER IS RESPONSIBLE FOR ENSURING THAT ALL EMPLOYEES, CONTRACTORS, CLIENTS AND OTHER USERS (“AUTHORIZED USERS”) WITHIN ITS ORGANIZATION ABIDE BY THE TERMS OF THIS AGREEMENT. ICD RESERVES THE RIGHT, IN ITS SOLE DISCRETION, TO MODIFY THE TERMS AND CONDITIONS OF THIS AGREEMENT, AT ANY TIME, EFFECTIVE UPON MAKING THE MODIFIED PROVISIONS AVAILABLE THROUGH SOFTWARE UPDATES OR OTHERWISE THROUGH CUSTOMER’S USE OF THE SOFTWARE. 1.1 “Services” shall mean the interpretation services that Customer is providing to its Clients using the Software (including the Client Software and the Server Software). 1.2 “Client” shall mean Customer’s clients, i.e. the organizations to which Customer is providing the Services or the interpreters to whom Customer is providing access to the Software. 1.3 “Client Software” shall mean the client interface component of the Software, the mobile applications and all Software installed on Client computers. 1.4 “Order” shall mean the document or other method (including, but not limited to, online or email order form) by which Customer licenses use of the Software from ICD. 1.5 “Server Software” shall mean any Software provided by ICD installed on Customer’s computers. 1.6 “Software” shall mean all the software provided by ICD collectively (including without limitation the Client Software, Server Software), and each separate component of the foregoing individually, any updates, upgrades or enhancements to the Software or any Software component provided to you by ICD, including, without limitation, any support software provided to you by ICD via the Internet, email or by any other means. (A) CLIENT SOFTWARE LICENSE. Customer is purchasing the number of Client Software licenses specified in the applicable Order. The Order specifies the number of organizations for which Customer may use the Software to provide Services. Customer may install the Client Software on computers within the organizations of the number of Clients specified in the applicable Order. The Order also specifies how many users are permitted within each Client organization. Customer may only install the Client Software on the number of user computers within the each Client organization as specified in the applicable Order. (i) Representations. Customer shall be responsible for obtaining and maintaining any equipment or ancillary services needed to connect to, access or otherwise use the Software , including, without limitation, modems, hardware, software, and long distance or local telephone service. Customer shall be responsible for ensuring that such equipment or ancillary services are compatible with the Software. (ii) Derivative Works. Customer may not modify or make derivative works of the Software, the documentation thereof, or any other component that may be included in the Software or provided with the Software, nor rent, lease or otherwise distribute the Software or the documentation thereof, except as expressly permitted in Section 2 of this Agreement. (iii) Transfer of Rights. Except as expressly set forth in Section 2, Customer shall not assign, sublicense, rent or otherwise transfer Customer’s access and use rights under this Agreement to the Software without the prior written approval of ICD. (iv) Reverse Engineering and Software Development. Customer may not reverse engineer, decompile, or disassemble the Software, directly or indirectly, in whole or in part. The Software shall only be used in accordance with the accompanying documentation and shall not be used for software development or any other purposes. (v) Copies. Customer may not copy the Software except as expressly permitted in Section 2 of this Agreement or the applicable Order. (vi) Ownership. All worldwide ownership of and all rights, title and interest in and to the Software, and all copies and portions thereof, including without limitation, all copyrights, patent rights, trademark rights, trade secret rights, inventions and other proprietary rights therein and thereto, are and shall remain exclusively in ICD. The only rights Customer acquires under this Agreement are the rights to the platform licenses and interpreters set forth in this Agreement. (f) violate any applicable government laws or regulations. 3. The ICD Professional Interpreter Network. The ICD Professional Interpreter Network services constitute a technology platform (“ICD Platform”) that enables clients of ICD’s mobile applications, Landline Phone or ICD’s website portal provided as part of the Services (each, an “Application”) to get On Demand interpretation services with third party providers of such services, including independent third party interpretation providers under agreement with ICD or certain of ICD affiliates (” Backstop Providers”). The customer acknowledges that ICD does not provide interpretation services as an interpretation service provider. Third party backstop providers reserve the right to decline interpretation services to a ICD customer contacted through the ICD platform. The Customer acknowledges that ICD does not contract, vet, qualify or manage interpreters and is not responsible or liable for the conduct of interpreters that are answering calls in the ICD Platform. ICD works with Backstop Providers in the ICD Professional Interpreter Network to ensure that they meet ICD’s Minimum Quality Standards. Supported Crowd Languages are generally supported for OnDemand services, but ICD makes no guarantee or warranty that every OnDemand OPI or VRI call placed to the ICD Professional Network for a supported language will be answered. ICD reserves the right to change and update the Supported Language List for both OPI and VRI services at any time. In addition, ICD customers are able to route calls to their own interpreter pool “Internal Calls” and are not required to use a Backstop Provider. 4. FEES. Customer must pay the fees specified in the applicable ICD Order Form. Such fees may include ongoing monthly or other periodic fees. Failure to pay such fees on time will result in shut down of Customer and its Clients’ use of the Software as specified in the Termination section of this Agreement. Service Shut Down: ICD reserves the right to temporarily or permanently shut down the service if LSP has unpaid invoices that are past due. 5. USE OF THE SOFTWARE AND ICD WEBSITE AND SERVICES. ICD has no special relationship with or fiduciary duty to Customer. Customer acknowledges that ICD has no control over, and no duty to take any action regarding: what Customer accesses via ICD or its website; what effects the content Customer access may have on Customer; how Customer may interpret or use the content; or what actions Customer may take as a result of having been exposed to the content. Customer is solely responsible for Customer’s activities in using the ICD website, Software or other services including the activities of your employees, contractors, Clients and all parties that Customer allows to have access to the ICD website and Software. Customer is solely responsible for the contents, modification, management and/or deletion of any and all files and data used by Customer in conjunction with ICD. Further, Customer is responsible to ensure that such files and data are not used in conjunction with ICD in violation of any copyright or any other proprietary right of any third party. ICD may access Customer’s account, including its data, to respond to service or technical problems or as stated in this Agreement. Customer, not ICD, shall have sole responsibility for the accuracy, quality, integrity, legality, reliability, appropriateness and copyright of all data stored in Customer’s account. Furthermore, ICD shall not be responsible or liable for the deletion, correction, destruction, damage, loss or failure to store any data. 6. THIRD PARTY SOFTWARE.The Software may utilize or include third party software that is subject to open source and third party license terms (“Third Party Software”). Company acknowledges and agrees that its right to use such Third Party Software as part of the Software is subject and governed by the terms and conditions of the open source or third party license applicable to such Third Party Software including without limitation any applicable acknowledgements, license terms and disclaimers contained herein. In the event of a conflict between the terms of this Agreement and the terms of such open source or third party licenses, the terms of the open source or third party licenses shall control with regard to Company use of relevant Third Party Software. In no event, shall the Software or components thereof be deemed to be “open source” or “publically available” software. 7. FEEDBACK MECHANISM; SHUTDOWN MECHANISM.The Software is equipped with a feedback mechanism that allows ICD to review Customer’s and its Clients’ use of the Software and communicates activity using the Software back to ICD. ICD reserves the right to use such data to evaluate the Software use and for any purposes which ICD deems useful or appropriate. Company agrees that ICD may collect and use technical data and related information, including but not limited to technical information about your system, application software and peripherals, that is gathered periodically to facilitate the provision of Software updates, product support and other services (if any) related to the Software. The Software is also equipped with a shut-down mechanism by which ICD may shut down Customer’s and its Clients’ use of the Software. ICD reserves the right to use this shut down mechanism if Customer or its Clients breach this Agreement, Customer or its Clients use the Software in ways not permitted by this Agreement, and/or if Customer fails to pay the applicable periodic Software fees as specified in the applicable Order form. 8. ACCESS RESTRICTION. ICD reserves the right to deny to any user, in its sole discretion, access to the Software or any portion thereof without notice. Customer is responsible for safeguarding the confidentiality of password(s) and user name(s) created by Customer for use with the Software, and for any use or misuse of the ICD account resulting from any third party using a password or user name created by Customer. Customer shall be solely responsible for securing access to its and its Clients’ data. ICD shall in no event be liable for any unauthorized access to any data stored using the Software or ICD website. 9. WARRANTY DISCLAIMER.THE SOFTWARE, THE ICD WEBSITE AND ALL OF THE CONTENTS THEREOF ARE PROVIDED “AS IS” WITHOUT WARRANTY OF ANY KIND, WHETHER EXPRESSED, IMPLIED OR STATUTORY, AND ICD HEREBY EXPRESSLY DISCLAIMS ANY AND ALL IMPLIED WARRANTIES, INCLUDING ANY IMPLIED WARRANTY OF MERCHANTABILITY, FITNESS FOR A PARTICULAR PURPOSE AND NONINFRINGEMENT OF THIRD PARTY RIGHTS, WITH RESPECT THE SOFTWARE, THE WEBSITE AND ALL CONTENTS THEREOF, THE ACCOMPANYING DOCUMENTATION, AND ANY ACCOMPANYING SUPPORTING MATERIALS OR OTHER MATERIALS RECEIVED FROM ICD AND/OR ANY AFFILIATE, AGENT, RESELLER, DEALER, DISTRIBUTOR, EMPLOYEE, CONTRACTOR OR REPRESENTATIVE OF ICD. CUSTOMER EXPRESSLY ACKNOWLEDGES THAT THE WEBSITE AND/OR THE SOFTWARE MAY CONTAIN TECHNICAL INACCURACIES OR TYPOGRAPHICAL ERRORS. NO AFFILIATE, CONTRACTOR, EMPLOYEE, AGENT, RESELLER, DEALER OR DISTRIBUTOR OR REPRESENTATIVE OF ICD IS AUTHORIZED TO MODIFY THIS LIMITED WARRANTY OR TO MAKE ANY ADDITIONAL WARRANTIES. SOME STATES DO NOT ALLOW THE EXCLUSION OF IMPLIED WARRANTIES, SO THE ABOVE LIMITATIONS MAY NOT APPLY TO YOU. THIS WARRANTY GIVES YOU SPECIFIC LEGAL RIGHTS, AND YOU MAY HAVE OTHER RIGHTS THAT VARY FROM STATE TO STATE OR JURISDICTION TO JURISDICTION. 10. LIABILITY DISCLAIMER.ICD SHALL HAVE NO LIABILITY FOR CONSEQUENTIAL DAMAGES. CUSTOMER IS SOLELY RESPONSIBLE FOR CUSTOMER’S AND ITS CLIENTS’ USE OF THE SOFTWARE OR ICD WEBSITE, INPUTS INTO THE SOFTWARE OR ICD WEBSITE, VERIFYING THE RESULTS OF THE USE OF THE SOFTWARE OR ICD WEBSITE AND HOW THE OUTPUT FROM THE SOFTWARE OR ICD WEBSITE IS USED BY CUSTOMER AND ITS CLIENTS. IN NO EVENT SHALL ICD BE RESPONSIBLE OR LIABLE TO CUSTOMER, ITS CLIENTS OR ANY THIRD PARTY FOR ANY LIABILITY ARISING OUT OF INSTALLATION OR USE OF THE SOFTWARE OR ICD WEBSITE, WHETHER BY CUSTOMER, CLIENTS, USERS WITHIN CUSTOMER OR CLIENTS’ ORGANIZATIONS, OR OTHER AUTHORIZED USERS. TO THE MAXIMUM EXTENT PERMITTED BY APPLICABLE LAW, IN NO EVENT SHALL ICD BE LIABLE OR OBLIGATED TO CUSTOMER OR ITS CLIENTS IN ANY MANNER FOR ANY SPECIAL, NON-COMPENSATORY, CONSEQUENTIAL, INDIRECT, INCIDENTAL, STATUTORY OR PUNITIVE DAMAGES OF ANY KIND, INCLUDING, WITHOUT LIMITATION, DAMAGES RELATING TO LOST DATA OR PROGRAMS, PRIVACY OF DATA OR PROGRAMS, UNAUTHORIZED ACCESS TO DATA OR PROGRAMS, BUSINESS INTERRUPTIONS, LOST PROFITS AND LOST REVENUE, REGARDLESS OF THE FORM OF ACTION, WHETHER IN CONTRACT, TORT, NEGLIGENCE, STRICT PRODUCT LIABILITY, OR OTHERWISE, EVEN IF ICD IS AWARE OF THE POSSIBILITY OF ANY SUCH DAMAGES IN ADVANCE. BECAUSE SOME STATES DO NOT ALLOW THE EXCLUSION OR LIMITATION OF LIABILITY FOR CONSEQUENTIAL OR INCIDENTAL DAMAGES, THE ABOVE LIMITATION MAY NOT APPLY. NOTWITHSTANDING ANYTHING TO THE CONTRARY SET FORTH IN THIS AGREEMENT, ICD SHALL NOT BE LIABLE TO CUSTOMER OR ITS CLIENTS IN EITHER THE AGGREGATE GREATER THAN $15,000 or the amount the customer has paid ICD to date, whichever amount is less. THE LIMITATIONS SET FORTH ABOVE SHALL BE DEEMED TO APPLY TO THE MAXIMUM EXTENT PERMITTED BY APPLICABLE LAW AND NOTWITHSTANDING THE FAILURE OF THE ESSENTIAL PURPOSE OF ANY LIMITED REMEDIES SETFORTHIN THIS AGREEMENT. THE PARTIES ACKNOWLEDGE AND AGREE THAT THEY HAVE FULLY CONSIDERED THE FOREGOING ALLOCATION OF RISK AND FIND IT REASONABLE, AND THAT THE FOREGOING LIMITATIONS ARE AN ESSENTIAL BASIS OF THE BARGAIN BETWEEN THE PARTIES. 11. INDEMNIFICATION. Customer agrees to defend, indemnify and hold harmless ICD, and its employees, officers, contractors, investors, directors, agents, licensors and affiliates from and against any and all claims, losses, liability, costs and expenses (including but not limited to attorneys’ fees) arising from (a) Customer’s and/or any Client’s or any users authorized by of either of the foregoing’s (“Authorized Users and Organizations”) installation or use of the Software OR ICD WEBSITE, including without limitation claims relating to loss or confidentiality of data or programs (b) any violation by Authorized Users or Organizations of any warranty, representation or covenant under this Agreement, (c) Authorized Users or Organizations infringement of any third-party’s rights, (including, without limitation, infringement of any copyright, violation of any proprietary right and invasion of any privacy rights), and/or the use or misuse of your ICD account by you or any third party using your password(s) and/or user name(s). These obligations will survive any termination of Customer’s relationship with ICD. 12. US GOVERNMENT RESTRICTED RIGHTS. If Customer is the United States Government or are acquiring the right to access and use ICD on behalf of the United States Government, then the United States Government agrees that: (a) if the right to access and use ICD is acquired by or supplied to the Department of Defense (“DOD”), ICD shall be classified as “Commercial Computer Software” and the government is acquiring only “restricted rights” in ICD and its documentation, as defined in Clause 252.227-7013(c)(1) of the DFARS; (b) for any part of the United States Government other than DOD, the government’s rights in the Software OR ICD WEBSITE and its documentation will be as defined in Clause 52.227-19(c)(2) of the FAR or, for NASA, in Clause 18-52.227-86(d) of the NASA Supplement to the FAR. 14. TRADEMARKS. ICD and their respective designs, trademarks and logos are trademarks or registered trademarks of ICD. All other trademarks and/or service marks are the property of their respective owners. 15. GENERAL. This Agreement embraces the full, complete understanding of the parties as to the subject matter hereof, and may not be altered or modified, except by written amendment or collateral agreement which expressly refers to this Agreement and which is duly executed by ICD and your duly authorized representative. All prior representations, understandings and agreements regarding the subject matter hereof whether written or oral, expressed or implied, are superseded and shall be of no effect. In the event of conflicting provisions between this Agreement and a duly executed collateral agreement, the duly executed collateral agreement shall control. This Agreement shall be construed and governed in accordance with the laws of the state of California, without regard to conflict of law provisions. Any action related to this Agreement or the Software shall be brought exclusively in the state or federal courts located in the County of Los Angeles, State of California, United States of America. Each party hereby agrees to submit to the jurisdiction of such courts. Customer acknowledges that a breach of this Agreement will cause irreparable and continuing damage to ICD for which money damages are insufficient, and ICD shall be entitled to injunctive relief and/or a decree for specific performance, and such other relief as may be proper (including money damages if appropriate). In the event of litigation between Customer and ICD concerning the Software or any other item which is subject to this Agreement, the prevailing party in the litigation will be entitled to recover attorney fees and expenses from the other party. The parties agree that the United Nations Convention on Contracts for the International Sale of Goods is specifically excluded from application to this Agreement. If any part of this Agreement is found void and unenforceable, it will not affect the validity of the balance of the Agreement, which shall remain valid and enforceable according to its terms. Customer agrees that the Software will not be shipped, transferred or exported into any country or used in any manner prohibited by the United States Export Administration Act or any other export law, restrictions or regulations. No waiver by ICD of any breach or default by customer of any of the covenants or agreements herein set forth shall be deemed a waiver as to any subsequent and/or similar breach or default. The Software and related documentation are “Commercial Items”, as that term is defined at 48 C.F.R. §2.101, consisting of “Commercial Computer Software” and “Commercial Computer Software Documentation”, as such terms are used in 48 C.F.R. §12.212 or 48 C.F.R. §227.7202, as applicable. Consistent with 48 C.F.R. §12.212 or 48 C.F.R. §227.7202-1 through 227.7202-4, as applicable, the Commercial Computer Software and Commercial Computer Software Documentation are being licensed to U.S. Government end users (a) only as Commercial Items and (b) with only those rights as are granted to all other end users pursuant to the terms and conditions herein. Unpublished-rights reserved under the copyright laws of the United States. BY ACCESSING AND USING THE WEBSITE AND BY INSTALLING, ACCESSING AND USING THE SOFTWARE, YOU ACKNOWLEDGE THAT YOU HAVE READ THIS AGREEMENT, UNDERSTAND IT, AND AGREE UNCONDITIONALLY THAT CUSTOMER AND CLIENTS SHALL BE BOUND BY ITS TERMS AND CONDITIONS. YOU FURTHER REPRESENT, WARRANT AND INDEMNIFY THAT YOU HAVE FULL AUTHORITY TO EXECUTE THIS BINDING AGREEMENT ON BEHALF OF CUSTOMER. ICD, the ICD platform or “we” or “us” and the associated ICD websites were formed to create the world’s first truly unified interpretation management system and interpretation communication and delivery platform. The privacy of all of our partners, end-users and stakeholders – your privacy – is something we take extremely seriously. 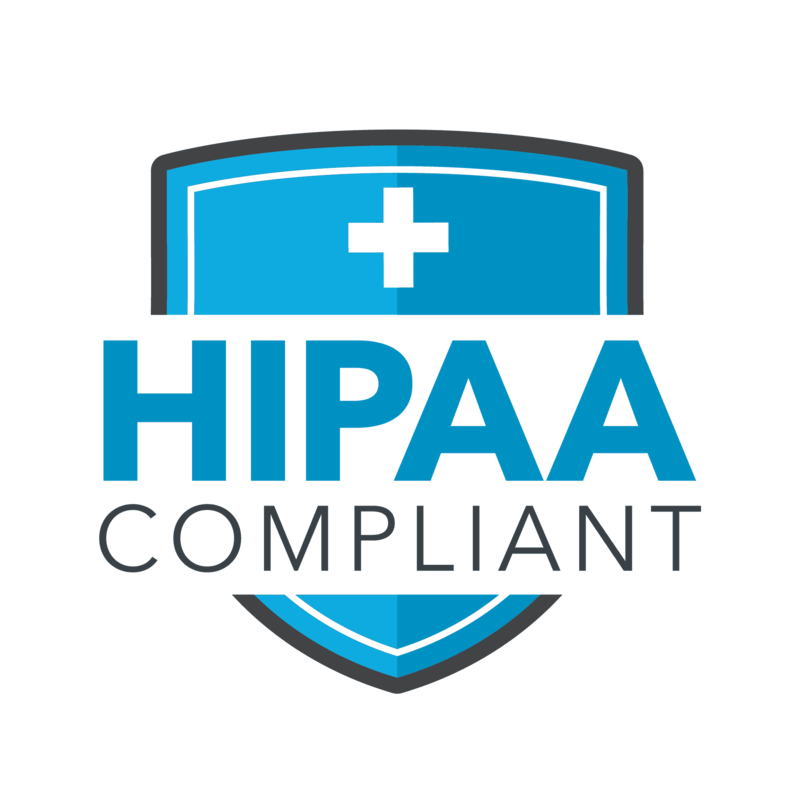 This policy details how we treat the personal information that we collect, what settings we provide for you to control how your information is used on ICD, and how you can contact us with any questions or concerns. This policy is not a contract between ICD and its users but is merely a recitation of ICD policies. This policy describes the types of information we may collect from you or that you may provide when you visit the websites ICD.com or any of their affiliated websites (our “Website”) and our practices for collecting, using, maintaining, protecting, and disclosing that information. It also applies to information we collect: (a) in email, text, and other electronic messages between you and this Website; (b) through mobile and desktop applications you download from this Website, which provide dedicated non-browser-based interaction between you and this Website; (c) when you interact with our advertising and applications on third-party websites and services, if those applications or advertising include links to this policy; and (d) through any other sources associated with the Website. We collect several types of information from and about users of our Website, including information: (a) by which you may be personally identified, such as name, postal address, e-mail address, telephone number, or any other information the Website collects that is defined as personal or personally identifiable information under an applicable law or any other identifier by which you may be contacted online or offline. Depending on which services you choose to use, ICD may require additional information, such as a company name, billing information (including billing address, phone number, credit card information), a mobile telephone number, a physical mailing address, and/or payment information. In addition, ICD may require information such as your tax ID, bank account information and/or credit card information in order to verify your identity and provide this service to you (collectively “personal information”); (b) that is about you but individually does not identify you, such as username or alias; and/or (c) about your internet connection, the equipment you use to access our Website and usage details. We may also collect information from you through our Website which may include: (a) information that you provide by filling in forms; (b) information provided at the time of registering to use our Website; (c) information when you enter a promotion sponsored by us; (d) information when you report a problem with our Website; (e) records and copies of your correspondence (including email addresses), if you contact us; (f) your responses to surveys that we might ask you to complete for research purposes; (g) details of transactions you carry out through our Website and of the fulfillment of your orders; (h) financial information before placing an order through our Website; (i) your search queries on the Website; and (j) visit or participation in our online community. You also may provide information to be published or displayed (hereinafter, “posted”) on public areas of the community or transmitted to other users of the community or third parties (collectively, “User Contributions”). Your User Contributions are posted on and transmitted to others at your own risk. Although we limit access to certain pages and you may set certain privacy settings for such information by logging into your account profile, please be aware that no security measures are perfect or impenetrable. Additionally, we cannot control the actions of other users of the Website with whom you may choose to share your User Contributions. Therefore, we cannot and do not guarantee that your User Contributions will not be viewed by unauthorized persons. We use information that we collect about you or that you provide to us, including any personal information: (a) to present our Website and its contents to you; (b) to provide you with information, products, or services that you request from us; (c) to fulfill any other purpose for which you provide it; (d) to provide you with notices about your license; (e) to carry out our obligations and enforce any rights arising from any contracts entered into on the Website, including for billing and collection; (f) to notify you about changes to our Website or any products or services we offer or provide though it; (g) to allow you to participate in interactive features on our Website; (h) in any other way we may describe when you provide the information; (i) for any other purpose with your consent; (j) we may also use your information to contact you about our own and third-parties’ goods and services that may be of interest to you; and (k) we may use the information we have collected from you to enable us to display advertisements to our advertisers’ target audiences. Even though we do not disclose your personal information for these purposes without your consent, if you click on or otherwise interact with an advertisement, the advertiser may assume that you meet its target criteria. – On occasion, ICD will send you messages. The default required form of communication is email. However, we may choose to offer additional ways to reach you, such as through text messaging (SMS) or physical mail. By using ICD’s site, you hereby agree that you have provided prior express written consent to receive messages, whether email or SMS, and acknowledge that you have an established business relationship (EBR) with ICD. You may opt out of these messages by contacting Customer Service. – Some messages from ICD are service-related and required for customers. Examples of service-related messages include, but are not limited to: a welcome/confirmation email when you register your account, notification of an order, or correspondence with ICD’s support team. These messages are not promotional in nature. You may opt out of these messages by contacting Customer Service. – As a customer, ICD may also send you messages related to certain features on the site or your activity. ICD may also send you news or updates about changes to our site or services. By default, members will receive these messages via email, but you may choose to opt-out of getting certain emails under your account settings. You may opt out of these messages by contacting Customer Service. – ICD offers optional email newsletters. You must opt-in or subscribe to begin receiving newsletters, and subscription is available to both members and non-members. Members may subscribe or unsubscribe from optional newsletters under your account settings or by following the instructions contained in the newsletter emails. Non-members may subscribe by providing an email address, which will only be used by ICD for these newsletters. Non-members may unsubscribe from newsletters by following the instructions contained in the newsletter emails. You may also send us an email at compliance@ICD.com to request access to, correct or delete any personal information that you have provided to us. We cannot delete your personal information except by also deleting your user account. We may not accommodate a request to change information if we believe the change would violate any law or legal requirement or cause the information to be incorrect. We have implemented measures designed to secure your personal information from accidental loss and from unauthorized access, use, alteration, and disclosure. All information you provide to us is stored on our secure servers behind firewalls. Any payment transactions and other sensitive information will be encrypted using secure socket layer (SSL) technology. ICD follows generally accepted industry standards to protect the personal information submitted to us, both during transmission and once ICD receives it. ICD will retain your information for as long as your account is active or as needed to provide you services. If you no longer want ICD to use your information to provide you services, you may close your account. After closing your account, ICD will solely retain and use your information as necessary to comply with our legal obligations, resolve disputes, and enforce our agreements. If you suspect a data breach, please contact us at translate@icdtranslation.com or by contacting us by phone. If you have questions or suggestions you can contact us, by sending an email to translate@icdtranslation.com, or at International Communication by Design, 13040 W Lisbon Rd. Suite 600, Brookfield, WI 53005.